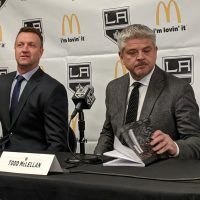 During every off-season of Dean Lombardi‘s tenure as General Manager in Los Angeles he’s been asked about possible free agents and trades that might be available to improve the Kings. Within his replies he was usually quick to point out that although he’d explore both those avenues, there was another far-more-important factor at play. Lombardi repeatedly preached the need for each member of the team – especially his big name players – to continue to get better. Yes, Dustin Brown, Anze Kopitar and Drew Doughty were skilled players, thought to still be on the rise. Yet, they needed to give more. Even coming off last June’s Stanley Cup victory, Lombardi opted for a long-term view on his roster. With the bulk of the team still in their prime – or not even there yet – he maintained that a commitment to their profession could mean more success in the years ahead. Then, along came the lockout. 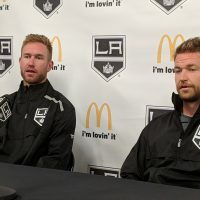 LA’s leading point producers in last year’s playoff run, Brown and Kopitar, headed off to Europe to stay in game shape. Meanwhile, Kyle Clifford and Trevor Lewis chose to play in the minor leagues and it didn’t go unnoticed either. Although the ECHL and teams in Europe weren’t bound by agreements with the NHL, the AHL was. 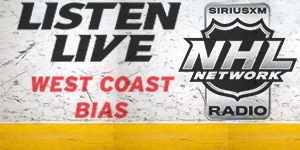 Thus, guys who had played too many games in the NHL or signed their first NHL contract too many years ago, weren’t allowed to play in North America’s second-best pro league. Essentially, if a player normally would have required waivers to be sent to the AHL, he couldn’t play there during the lockout. Which also meant those players weren’t under the guidance of the Kings development system either. Clifford was the first to sign in the ECHL, back in November. 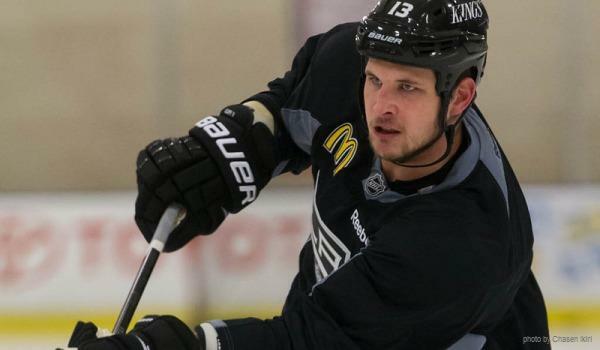 His impact in the Ontario Reign line-up was felt right away too, as he scored a goal in just his second game. 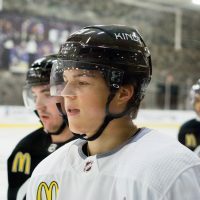 Lewis signed with the hometown Utah Grizzlies around Christmas time and his first game was to be against Clifford and the Reign. Things didn’t work out that way. But, as timing would have it, they did get to play against each other the same weekend the lockout ended (pictures available here). Lewis even joked about fighting Clifford before the game, but it never happened. “I think it showed a lot of character by those guys playing in the East Coast League,” remarked Lombardi. It seems to be paying off in the early season stats as well. 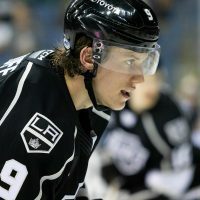 Clifford’s had a hand in all three of the Kings’ goals (recording one goal and two assists), while Lewis leads the team with eight shots on goal. Cliffhanger and Lewis are both underrated. 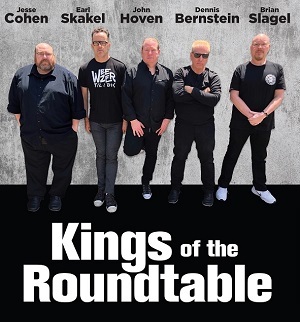 Glad they play for the Kings.